Many travellers aren’t keen on the concept of taking a cruise trip, as they are concerned about factors like seasickness and feeling too claustrophobic on board. However, the fact is that most people don’t get seasick on cruise liners because the boats are so large, and feel more like a small town that a ship. The size of these ships also tends to mean that they don’t feel claustrophobic, and are just like being on holiday anywhere. While you may not be 100% sure about whether a cruise is the right choice for your next trip, the compelling adverts you see on television combined with stories from friends and relatives about the amazing time they had on ship, are making you wonder whether a cruise could make a fantastic trip after all. Still not sure if a cruise could be a good option for your next trip? Then have a read of these five reasons why a cruise could make a fantastic next adventure for you. Cruises, such as those offered by the Bolsover Cruise Club, tend to offer fantastic value for money. This is because the cost of a cruise tends to include everything, from the price of your accommodation to use of the on-board facilities, and often the cost of your food and drink too. Many cruise trip prices also include the cost of excursions and other costs, such as on-board entertainment, like shows and movie showings. Then there is the fact that a cruise will give you the opportunity to visit and explore multiple countries in a short space of time. You will go to sleep in one country and wake up on the shores of another – how amazing is that? You only need to unpack once, and are taken from place to place by your cruise liner – AKA a floating hotel. Cruise ships don’t come in just one design and style, oh no, they come in all manner of different ones. From smaller cruise ships with a more intimate feel to larger designs that are similar to a small town in terms of size and amenities, there are plenty of options to choose from. One thing that a lot of people think about cruise ship travel is that they will be bored. 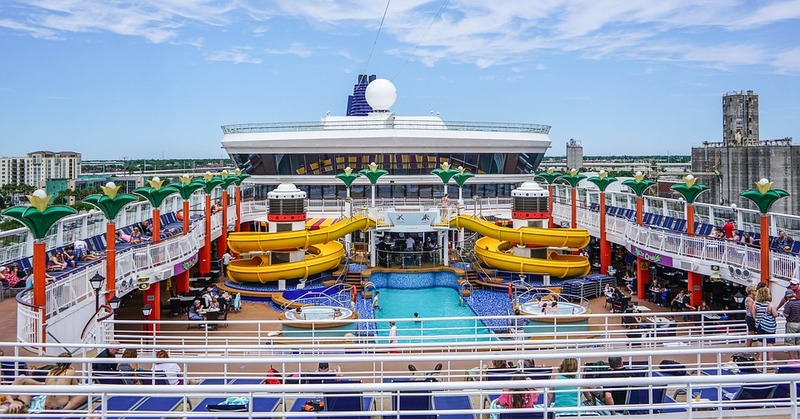 However, the fact is that isn’t the case – there are so many different amenities on board, that the chances are you will never be bored, and will always be busy doing something. There are various activities to choose from on board; it’s just a case of selecting a ship that has activities and amenities on offer that are a good fit for you and your interests. One of the fantastic things about taking a cruise trip is the fact that they are super easy to plan. Because most of the work has already been done for you, such as where the cruise liner will stop off and how long for, you don’t need to sweat the small stuff. All you need to do is pick a cruise option that sounds like a good fit for you, and show up on the day of departure. There you have it, a guide to five reasons why you should choose a cruise for your next adventure.